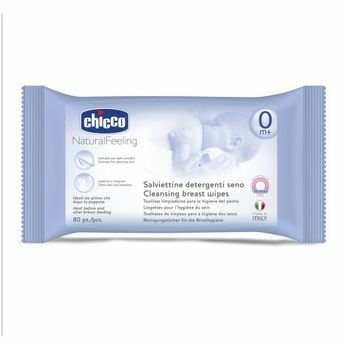 Enriched with Milk and Wheat Proteins, the gentle Cleansing Breast Wipes by Chicco help maintain the natural hydrolipidic balance of the skin. Odorless and tasteless, these gentle wipes are absolutely safe for your baby. They are perfect for use right before and after feeding and you do not even need to rinse. 100% safe, these wipes do not contain any tension-active agents, perfumes, alcohol or colorings.